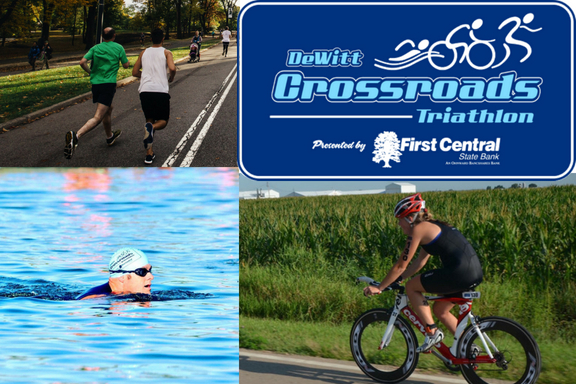 The DeWitt, Iowa Crossroads Triathlon has been part of my annual “to do list” for more than a decade. The event is beginner friendly with lots of community spirit and always a challenge no matter how many triathlons you have completed. For me the idea of having a physical challenge bucket list is a must. I have learned since I was 10 years old that saying yes by signing up is a good way to motivate the mind and body. I have been picking out annual endurance sporting challenges for about as long as I can remember. Triathlons first captured my attention when I was in high school. What has been important to me is that the events I pick be achievable but also challenging. How far can I go and what might I get to experience? How fast can I complete the event relative to my current fitness? My first triathlon was the Quad City Triathlon in the late 1980s. I had read about and saw pictures of pro triathletes that were very inspiring. I was working as a lifeguard at Scott County Park Pool and enjoyed running and biking. Swimming competitively was far different than the fitness and skill necessary to lifeguard. My weakness would definitely be the open water swim. What helped me say yes to the challenge and sign up for the event was a new life guarding friend. He was a competitive swimmer and strong biker. His worry was the run which I convinced him was no big deal. My friend and I both finished despite struggling so much on our weaknesses during the event. We were filled with a sense of accomplishment and a sense of euphoria that can’t be purchased. We both were hooked and continued to pursue rewarding experiences through endurance sports. 30 years later there are many more triathlons to pick from in Eastern Iowa. 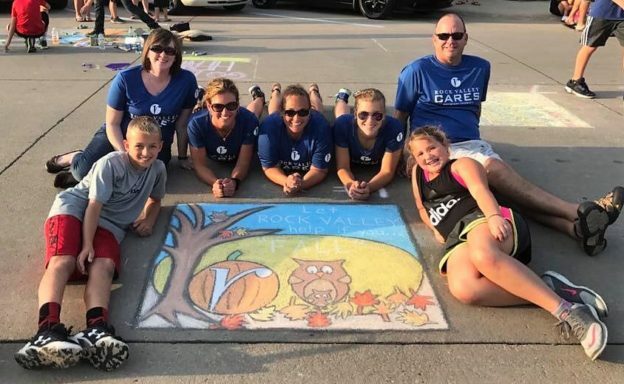 Jeff and Amy Castro started the Crossroads Triathlon and it is now continued by the DeWitt community with the support of DeWitt Parks and Rec and First Central State Bank. The triathlon has a less crowded time trial start with self seeding and a challenging yet accessible course. My goals each year have changed. I was able to be part of a team with my wife and oldest son in 2017 which was a lot of fun. I also get excited to encourage new participants to complete their first triathlon; whether as leg for a team or individual. 2018 will also offer a youth triathlon which has my 3 kids excited to see if they can complete the swim, bike, run challenge. The first step to experiencing the sense of accomplishment and triathlete euphoria is to sign up. Regardless of your current fitness level, registering will motivate you to physically prepare and feel great doing so. Check out this great event and I am sure you too can make endurance sports part of your yearly experiences! 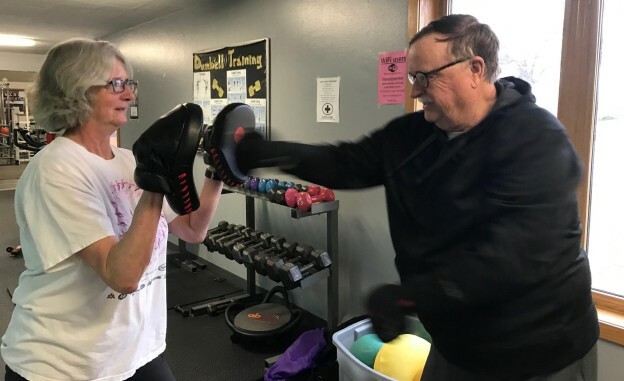 This entry was posted in Community Insights, DeWitt Delivers, Get Involved!, Look Local First, Tourism and tagged City of DeWitt, Community, DeWitt, DeWitt Fitness Center, First Central State Bank on June 26, 2018 by admin. With the turn of the calendar, the majority of us have high hopes and goals for the new year. The top of that list is usually a goal to lose weight, get fit, eat healthier, etc. Unfortunately these goals are usually short lived. Fortunately, the DeWitt Fitness Center is offering a solution to the usual fading resolution. Get Fit DeWitt, part of the Live Healthy Iowa initiative, is a team (consisting of two to ten people) motivated competition of weight loss and activity minutes. Get Fit DeWitt will run from January 23rd – March 31st, 2017. Get Fit DeWitt can be a great motivator, not only does a team atmosphere encourage accountability, but a little healthy competition can go a long way. Each year for this annual event, I captain a team where many different personalities coming together to reach common goals: to gain health, lose weight and support each other. I would be lying if I said the competition did not fuel me, I am sort of a competition junkie (for this I blame my dad, Dennis). In all seriousness, this type of atmosphere can really be of benefit when there is a goal to get healthy. Get Fit DeWitt offers it all, an obtainable timetable, supportive team atmosphere, individual accolades and incentives. We all have much to gain when we lose! When we lose weight or get more active the natural result is to gain health. Blood panel numbers get better, our bodies get leaner and stronger, we have more energy and our moods can even be more positive, it truly is a win-win for everyone. Taking the first step can be scary; I encourage you to take it any way! Find a buddy and jump on board. What do you have to “lose”, not as much as you will gain. I challenge you all to be part of the 2017 Get Fit DeWitt initiative, let’s make this the biggest and best one yet. Find out more about the program and register here! This entry was posted in Community Insights, DeWitt Delivers, Get Involved! and tagged City of DeWitt, DeWitt, DeWitt Fitness Center, Iowa, Live Healthy Iowa on January 20, 2017 by admin. People in DeWitt have more convenience and less travel to be able to experience high-standards in health care then ever before. Here are five habits of their success. Be loyal to the cause. It’s no coincidence in 2014 and 2015, Genesis Medical Center – DeWitt was named “Top 20 Hospitals for Quality of Care” by the National Rural Health Association. The quality of care comes from a combination of cutting edge equipment, elite specialists and outstanding in-patient, out-patient and emergency care. They have made it a habit to provide high quality and compassionate care to the DeWitt area since 1952. Other health leaders like DeWitt Dental Associates, Hill Chiropractic, DeWitt Eyecare Clinic, and GMC-DeWitt have served DeWitt for over 35 years. Try something different. For those who do not seek traditional healthcare, there are five practices in DeWitt which offer chiropractic care and homeopathy options. For example, Stress Solutions Unlimited uses cutting edge light and sound technology such as light bed therapy and ION cleanse to assist their clients. They also offer nutrition education, brain-based and natural healing therapies. Building strength. There are three physical rehabilitation centers in town, as well as four massage therapy centers. Booked days in advance, these places offer rebuilding and rejuvenation of health through aquatic, neurological rehab, sports performance, hand and orthopedic therapies to name a few. The two fitness centers also do their share of strength training. For the ninth year in a row, starting on January 25th, the DeWitt Fitness Center offers a 10-week Get Fit DeWitt wellness program which encourages individuals to form teams to achieve weight loss goals. Call on the Experts. In certain cases, when a surgery or specialized procedure is not offered locally, healthcare professionals easily guide clients to trusted associations to ensure the best care. DeWitt Eyecare Clinic provides this for eye surgery patients. DeWitt Dental Associates coordinates specialized surgeries for their clients. And DeWitt Family Health Clinic and Genesis Health Group match mothers-to-be with top area birthing centers. All are committed to providing services locally, but will always meet the needs of the patient first and foremost. Before and after surgery care is always available as it best meets the needs of the patient. Options, options, options. DeWitt is home to a variety of reliable options for health care, including two family practice clinics, two elderly care facilities, three physical rehabilitation centers, two dental offices, five chiropractic practices, two eyecare clinics, a locally owned pharmacy and four massage therapy centers. Even three veterinarian clinics for your four-legged or winged friends’ healthcare. And additional options continue to open their doors. DeWitt Delivers Health Care! This entry was posted in Community Insights, DeWitt Delivers and tagged chiropractic, DCDC, dental office, DeWitt, DeWitt Chamber and Development Company, DeWitt Delivers, DeWitt Dental Associates, DeWitt Eyecare Clinic, DeWitt Fitness Center, DeWitt Iowa, elderly care facilities, eye care clinics, Genesis, Genesis Health Group, Get Fit DeWitt, GMC-DeWItt, Health care, Hill Chiropractic, massage therapy, pharmacy, Physical rehabilitation centers, Stress Solutions Unlimited on January 21, 2016 by admin.